Ben received his B.S. 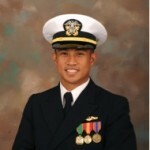 and naval officer commission from The University of Texas in 2006. He has served as the officer in charge of multiple nuclear engineering divisions, as well as the Assistant Weapons Officer and Tomahawk missile Strike Officer aboard the USS TUCSON, a nuclear-powered attack submarine operating out of Pearl Harbor, HI. He was selected to join the Navy’s acquisitions community as an Engineering Duty Officer in 2010 and has since received his M.S. in Systems Engineering from The Naval Postgraduate School in Monterey, CA. Most recently he has served as a project manager for Strategic Systems Programs, the organization responsible for the technical program management of the US Navy’s TRIDENT II D5 missile system. Ben will be attending the MIT Sloan School of Management to pursue his MBA as a member of the class of 2017.